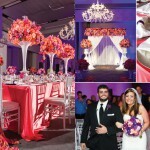 We love Huffington Post Weddings, especially for the short & sweet visual stories they share with their readers daily. It’s been an incredible year for Austin wedding photographers Cory Ryan Photography on the blogs, and Huffington Post Weddings is no exception! We are thrilled to see so many of our images featured this year, so we hope you enjoy a few favorite articles featuring our Austin wedding photography.